Headlining Bluegrass for Hospice-2018 will be Danny Paisley & The Southern Grass. Highland Travelers will also appear. This year marks the 10th year for Bluegrass for Hospice. The event will be held on Saturday October 27, 2018 at the Flat Iron Farm in Great Mills. The farm, most noted as the "Christmas Farm" will be taken over by the sounds of Bluegrass music. The one-day fundraiser, with all proceeds going to the Hospice of St. Mary's, Hospice House, will begin at Noon with the gates opening at 11 a.m. This family event will include raffles, silent auction, many giveaways, and live Bluegrass music by national and local talent. Since 2009, Jay and Michelle Armsworthy have been presenting Bluegrass for Hospice in memory of Jay's grandfather who Hospice came to assist. 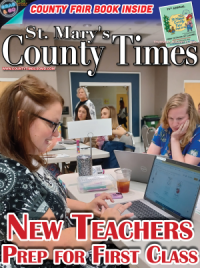 In which has turned into a much expected annual event, not only giving back to Hospice, but preserving Bluegrass music in the Southern Maryland area. 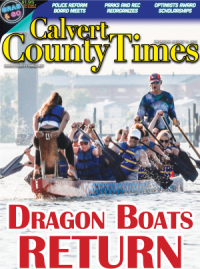 This year will feature the local sounds of the event host, Jay Armsworthy and his band, Eastern Tradition, along with David Norris & the Dixie Ramblers, Bubby Abell & Spoon Creek, The California Ramblers, Recycled Bluegrass, and 15 Strings. Headlining Bluegrass for Hospice-2018 will be Danny Paisley & The Southern Grass. They were the headlining band at the very first Bluegrass for Hospice 9 years ago. For the more modern appealing Bluegrass fans, the new group, The Highland Travelers will join the show. Danny Paisley and The Southern Grass play powerful, unadorned, and intense traditional Bluegrass. Their instrumentation and vocals convey the energy and emotion of classic bluegrass and country music. Danny's lead vocals will captivate your senses, so much so that many musicians, including Alison Krauss, have considered Danny as one of their favorite singers. His voice combines powerful range and soulful blues with a sound like no one else in bluegrass today. They continue to be deeply rooted in tradition, but look to the future with enthusiasm and anticipation. 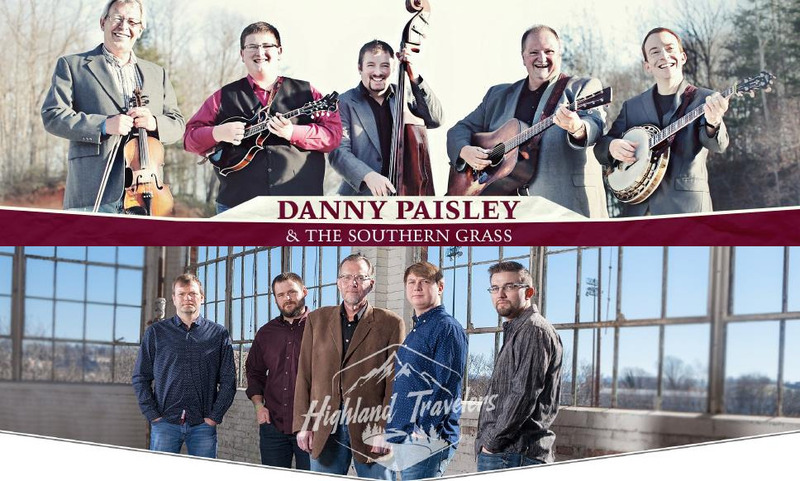 Since Danny's father Bob Paisley (founder of Southern Grass) passed away in 2004, Danny and his band have made their own niche in the bluegrass world. Their album, The Room Over Mine, earned them significant chart action and the song, "Don't Throw Mama's Flowers Away" won the 2009 IBMA Award for Song of the Year. The Highland Travelers are a group of musicians and friends that share a common love of the traditional sounds and styles associated with the first and second generation of the legendary bluegrass artists. While there is an immense respect for the pioneers and legends of this music, they strive to advance the genre with original material and arranging ideas. Keith Garrett is the principal song writer and guitarist in the band and has performed with many groups, most notably The Boxcars and Blue Moon Rising. He has become very well respected as one of the best writers in the bluegrass world. Not only is he a strong writer, he's an excellent lead vocalist and guitarist as well. Adam Steffey plays mandolin, sings lead and harmony vocals. He has been a part of the Bluegrass music scene for over 30 years and has performed, traveled, and recorded with many artists in both the bluegrass and country music scene, including Alison Krauss, Mountain Heart, The Dan Tyminski Band, and The Boxcars. Gary Hultman is a gifted young resophonic guitar player who started his professional music career as part of The Boxcars. He plays a big role in the harmonies that the band displays in their song arrangements, as well as adding creative, tasteful solos and lyrical lines on his guitar. Jason Davis is one of the most gifted banjo players of this era. He has a sense of timing and drive that is hard to find. He played most notably with Junior Sisk and Rambler's Choice before helping form the Highland Travelers. Kameron Keller plays bass with the group and sings harmony. He is without doubt one of the best young bass players in this type of music and with understated accuracy can lay the foundation for the band to soar over. He is a rhythm machine and his playing compliments everyone around him. The silent auction, this year, will include many unique handmade items. The popular McCormick Spice Basket will again be raffled off. A small handmade "John Deere" wagon will be filled with Bluegrass items and raffled off along with a money raffle of $500.00. Bluegrass for Hospice-2018 will feature something for everyone. There will be vendors, 50/50 raffles and food available for sale by Lynn's Catering. Please bring your lawn chairs and "BYOB" is welcome. The event will be held inside a handicap accessible, 'arena style' barn with outdoor bathroom facilities. Bluegrass for Hospice-2018 will also be holding a food drive to support the Helping Hands Food Pantry of Southern Maryland. Although it's not required to enter, everyone is encouraged to bring non-perishable food items. Tickets are $25 in advance and $30 at the gate. Children under 12 are admitted free with a paid adult. To purchase tickets using a credit card, go to www.brownpapertickets.com/event/3563410. For more information on Bluegrass for Hospice-2018, go to the event website at www.bluegrassforhospice.com or call 301-737-3004. Vendor applications are now being accepted for the event. Call or go to the event website for complete details.